Flyers have always been an effective method of getting seen, and making an eye-catching flyer has never been simpler! Work with our design staff to create a colorful flyer you can be proud to post everywhere. Take a look at our posters if flyers aren't exactly what you're looking for. 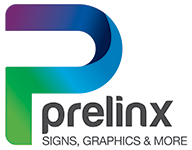 Scale up your project with a banner or literally post up with some lawn signs.